Document creation software allows users to customize, edit, and share text-based documents. These software applications can function as word processors, PDF creators and editors. Document creation products also have the ability to store, share documents and allow for collaborative editing. Document creation solutions are often part of a larger suite of products or set up as integrations for more expansive business software, but can also be independent, highly focused platforms. 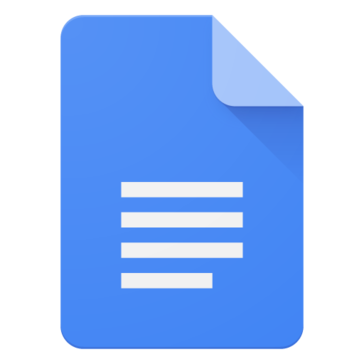 Document Creation reviews by real, verified users. Find unbiased ratings on user satisfaction, features, and price based on the most reviews available anywhere. Foxit is a leading software provider of fast, affordable and secure PDF solutions. Businesses and consumers increase productivity by using Foxit's cost effective products to securely work with PDF documents and forms. Foxit is the #1 pre-installed PDF software, shipped on one-third of all new Windows PCs, including those from HP®, Acer, and ASUS®. Foxit PDF SDK is optimized for Enterprise and Cloud Apps. Our high performance PDF libraries have robust and proven PDF technology – Everything in One Multi-Platform PDF SDK. 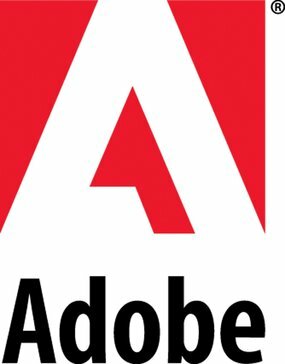 Key features include: Render PDFs: High performance PDF libraries to render PDF pages, page objects, annotations, and forms the way they were intended to be viewed: sharp, clear, accurate, and easy to read. Allows applications to view, zoom in, zoom out, and print PDF documents and forms. Reflow: PDF is a fixed-layout flat document format, it cannot automatically word wrap according to the width of a page. Reflow is a function that automatically rearranges page content when the page size changes. Asynchronous support: Asynchronous is a method to access PDF pages without loading the whole document, so applications do not have to wait for the whole PDF file to be downloaded before accessing them. For example, readers can start reading the first page while the rest of the document is still loading. Page organization: Merge and combine specified page ranges from different PDF files into a single PDF. 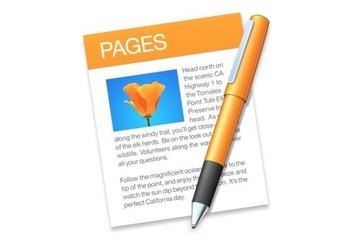 Annotations: Annotations are a very powerful feature within PDF. It enhances the interactivity between collaborating colleagues to share ideas and feedback. The PDF SDK provides APIs for annotation creation, properties access, and modification (appearance setting and drawing). It also provides APIs to export and import all annotations from and to PDF and FDF document. Organizing your story has never been easier with the Final Draft 9 Navigator. No longer just a Scene Navigator, the new Navigator also displays ScriptNotes and Characters arcs. Smallpdf is the first PDF Software you will actually like. The perfect gateway to productive, portable and cost-efficient document management solutions in your everyday life. Crafted in Switzerland, the land of watches, banks and clean design, our mission is to provide a fast, reliable and most of all simple experience for our users in working with their documents. Derived from a simple PDF compression problem, Smallpdf has grown to become the most popular online PDF software. Ranked within Alexa Top 1000 Global Sites, Smallpdf boasts a comprehensive portfolio of 17 PDF tools to create, edit, convert and sign documents in 20 languages, with a global user base of 100,000 companies and over 200 million individuals, spanning over every single country on the planet. Tireless engineering efforts from a small team of frontend and backend engineers keep our many servers happily running. On top of this, a careful team of designers, data-analyst and marketing make sure that we provide our users with the best experience they can get. We love how so many people support us every day and it’s absolutely heartwarming to see how they keep sending their love for what we do! As a well-rounded PDF editor, ApowerPDF has slick user interface and offers a wide range of PDF editing options to choose from based on your needs. With it, you can easily modify text/graphics, add images, text, watermarks or even manage PDF pages and save with results that look exactly like the original. Indeed, it's quite useful for both individuals and business. FineReader is an all-in-one OCR and PDF software application designed to increase business productivity. It provides easy-to-use tools to access and modify information locked in paper-based documents and PDFs. HOW IT WORKS: It's simple! You will set up a document (or template) in WebMerge, integrate it with popular services to send your data to that document, and we’ll send you a merged copy. With our various document types you can create professional looking documents that will fit right in with your business. Whether you need a secure PDF, a dynamically generated document, or the flexibility of a Word/Excel/PowerPoint, WebMerge supports it all. Once you're finished creating your merged document, you can choose from one of WebMerge's powerful delivery options, such as via email, saving it in the cloud, or sending it to another 3rd party. A SaaS platform helping organizations go paperless. FormSwift’s tools allow businesses and individuals to create, edit, sign, and collaborate on documents and workflows in the cloud, eliminating unnecessary printing, faxing, and snail mail. Zoho Sheet is that spreadsheet application that provides you the space for organizing data, discussing reports with your team, and analyzing data, wherever you are. Zoho Sheet also provides native apps for both iOS and Android, thus, not tethering users to their laptops. Key features of Zoho Sheet: 1)Create, edit, share, work on your spreadsheets online, from anywhere 2)The smart data cleaning tool helps get rid of data duplicates, inconsistencies, and missing values in a jiffy. 3)More than 350 functions, and multi-axes charts for better data analysis 4)Allows users to create personalized functions using Deluge, for calculations and data inflow from other applications. 5)Live editing and collaboration features for working together in real time 6)View and retrieve older versions of a file without any trouble 7)Enhance your blog/webpage content with embedded spreadsheets 8)Intuitive user interface designed for web, and mobile devices individually 9)Apply conditional formats to analyze and differentiate huge data 10)Create forms and collect data from inside the spreadsheet 11)Migrate various reports from your Zoho accounting and data collection products to Zoho Sheet with ease 12)A powerful web application, and native apps for iOS and Android 13)Work with other file formats such as .xlsx, .xls, .ods, .csv, .tsv comfortably 14)Allows import and export of files directly from other cloud drives like Google Drive, OneDrive, Dropbox, and Box. Create stunning blog posts in minutes, with photos, videos, maps, and more. Then publish them to any of your favorite blog service providers. Convert scanned and native PDF to Word, Excel, CSV, AutoCAD and many more. Fully customize your conversion output and create PDF instantly. Sign PDFs with electronic (image) or digital (cryptographic) signatures. Verify digital PDF signatures instantly. Fill in, create and edit PDF forms on your computer. Add bates numbering to PDF pages. Get improved PDF to Excel with AI technology to create Smart and Master templates. Perform other PDF tasks such as text editing and batch conversion or redact and annotate PDFs instantly. Simply put, Able2Extract Professional is the top PDF suite of choice for office superstars. iA Writer is writing machine for iOS, Mac, and Android that inludes Dropbox and iCloud syncs, focus writing, formatting, Microsoft Word Import and Export, Syntax Control, and more. The Nitro Productivity Suite combines the latest version of Nitro Pro - the leading replacement for Adobe Acrobat - with Nitro Cloud, a new browser-based application which provides unlimited electronic signatures and powerful PDF productivity tools, to deliver one easy-to-use, affordable solution that helps enterprises measurably accelerate digital transformation across the organization. Additional services are also available for eligible customers, including Nitro Admin, a cloud-based service to assist with user management and deployment, and Nitro Analytics, a managed service that leverages usage insights to drive adoption and maximize ROI. Vim is a configurable text editor built to help manage efficient text editing with vi editor and UNIX System that can be used on-premise or online. Pdfcrowd offers API's for PDF generation. Open Live Writer is like Word for your blog. Open Live Writer is a powerful, lightweight blog editor that allows you to create blog posts, add photos and videos then publish to your website. Nuance Power PDF Standard makes working with PDFs an easy, intuitive tool for creating, converting, editing and sharing PDF files. Easy PDF is 15 tools in one. It's totally free and anonymous, you can convert files without limits and email registration. Convert PDF to most popular file formats and vice versa. Merge, compress and split PDFs. With a simple, attractive, customizable design, WriterDuet is fun and easy to use from day one. Designed to replace pen and paper, an extensive array of tools and intuitive interface make Drawboard PDF the #1 rated engineering productivity app on the Windows Store. Workshare Compare is provide a software for secure enterprise file sharing and collaboration applications that allows individuals to easily create, share, and manage high-value content anywhere, on any device. Ulysses for Mac lets you focus when you need to concentrate. It keeps all your texts neatly stuffed in its intuitive library. With a few clicks, Ulysses can create beautiful documents from your manuscripts: PDFs, web pages, even iBooks-ready ePubs. Refly is a smart editor tool designed to help content writers to correct their errors starting from simple spelling, grammar etc. to the writing and style errors. novaPDF has three major editions: Lite, Standard and Professional. novaPDF Professional has all the features enabled, while novaPDF Lite and Standard have limited functionality. All editions offer network/server specific functionality such as: sharing it as a network PDF printer, printing via Terminal Servers or Remote Desktop Connection, using public printing profiles. CleverPDF provides online PDF tools and solutions. PDFs can be edited, created, and converted through online tools. Most tools only take three steps. CleverPDF is a free solution and will automatically remove files from the server within 30 minutes of completion. Hi there! Can I help you find the best Document Creation solutions?